Discussion in 'Promo Codes and Contests' started by Eggroll Games, Dec 31, 2014. 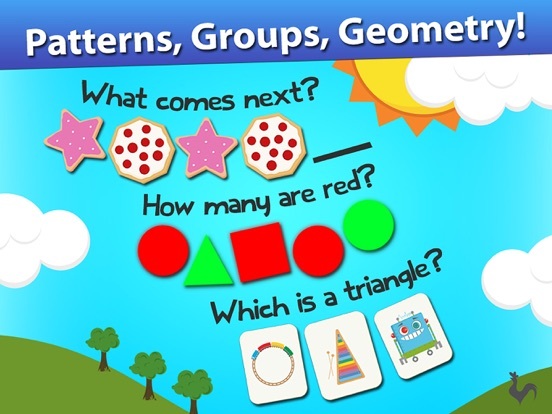 Our pre-k learning game was just updated to version 1.1.1! 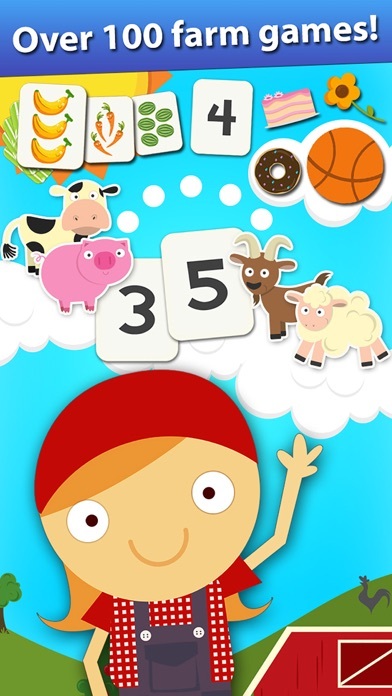 It's called Animal Pre-K Early Math Games for Kids, and we'd love to give away a $10 US App Store gift card for your review!  Meet Chauncey the Mouse in an all new spot the difference game! 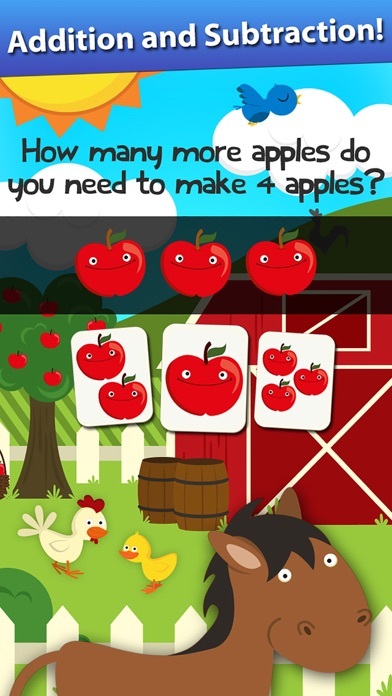  Meet Pete the Frog in an all new matching game! 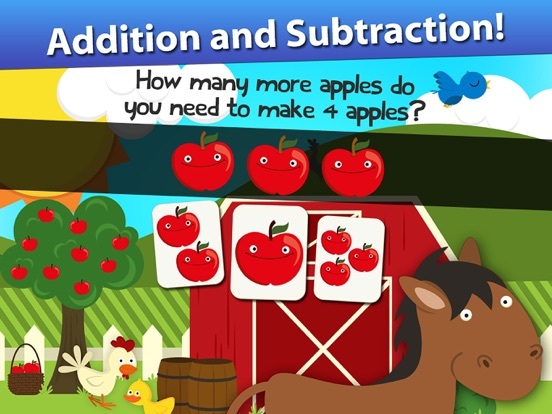  Another brand new game: Bigger & Smaller! 2. Write a short review (or update your existing review) on the iTunes App Store. On Friday, January 2nd a lucky winner will be randomly selected! 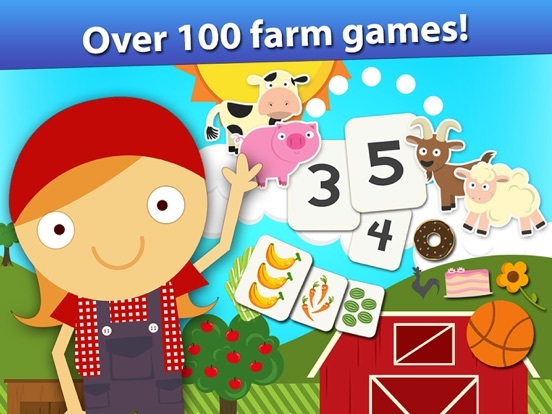 Explore the farm with a counting sheep named Sherman, Pete the mischievous matching frog and all the barn animals you love as you join Lily the farmer through 100 fun learning games on a quest to help her barnyard buddies find a way home! Playable by kids of all ages with lots of positive encouragement, professional narration and catchy music. Cute farm animals include cow, chicken, goat, pig, sheep, duck and frog! 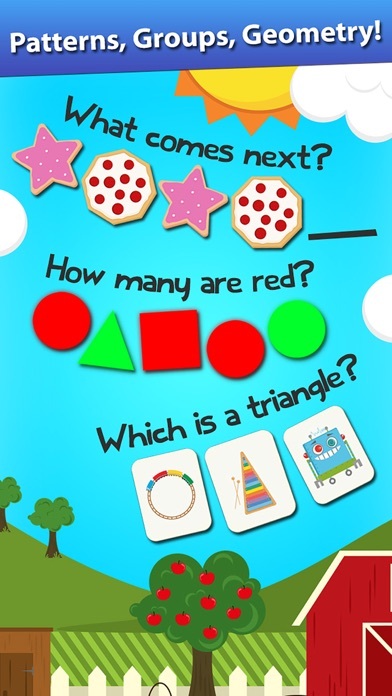 Designed by parents and teachers for pre-k kindergarten preparation, this app adheres to Common Core Standards for kindergarten math. 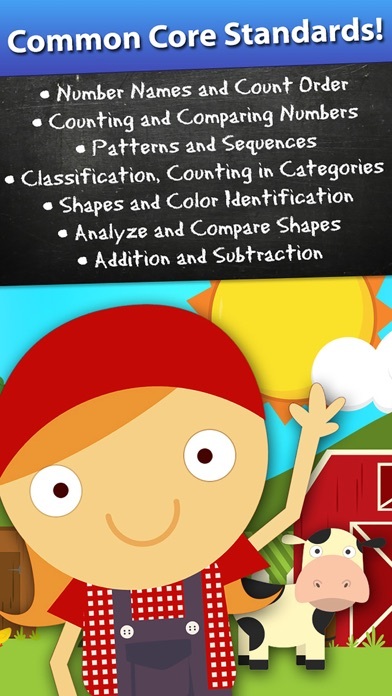 COUNTING & NUMBER RECOGNITION • Count forward from 1 to 10 • Connect counting to numbers • Answer “How many?” questions • Compare numbers to groups of items ADDITION & SUBTRACTION • Addition with objects • Subtraction with objects • Add and subtract within 5 CATEGORIES, COLORS AND GEOMETRY • Classify objects into given categories • Correctly name shapes and colors • Analyze and compare shapes and colors ADDITIONAL FEATURES: • Items, numbers and instructions are professionally narrated • Players are rewarded with positive encouragement • Parental controls: Turn off sounds, music, purchases and links to our other apps • We do not collect personal information from our users. 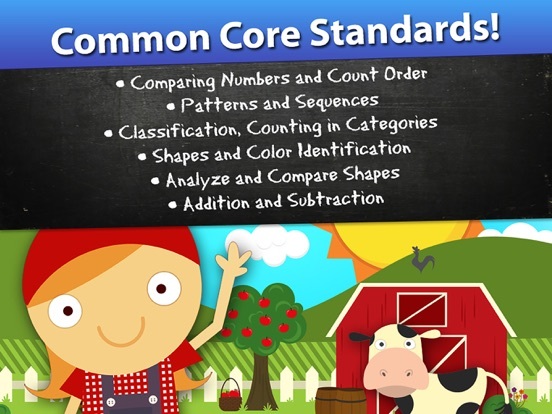 COMMON CORE STANDARDS • CCSS.Math.Content.K.CC.A.1 • CCSS.Math.Content.K.CC.A.2 • CCSS.Math.Content.K.CC.B.4 • CCSS.Math.Content.K.CC.B.5 • CCSS.Math.Content.K.CC.C.7 • CCSS.Math.Content.K.OA.A.1 • CCSS.Math.Content.K.MD.B.3 • CCSS.Math.Content.K.G.A.2 ===================================== Eggroll Games builds interactive toys that promote learning and engage children through colorful interactivity without confusing buttons or menus. Like us on Facebook at facebook.com/eggrollgames, follow us on Twitter @eggrollgames or drop in for a visit at EggrollGames.com! Updated my review as Langodess in the US App Store. Review as C3FFF0E in US Appstore. Updated my review as Otomeheart in the US appstore, thanks! I am very sorry about the wait! A winner has been contacted. Thank you for your reviews and patience. The winner will be announced here soon. ...and the winner is... jjjmedia! A sincere thank you to jjjmedia and to everyone who has participated in our contests! You all have helped us to be seen on the App Store and it is appreciated. Again, I do apologize for the delay in selecting and announcing the winner!